MEPs approved rules on Wednesday (7 October) to cut costs imposed on online payment services and to make them safer and more resistant to fraud. Legislators say the new measures will boost the growth of innovative online services in the payments sector. Wednesday’s vote officially rubberstamped the new rules, which were approved by the vast majority of MEPs with 578 votes in favour, 29 against and 52 abstentions. MEPs first informally agreed on the terms last May. Consumers will be able to use specialised online services to access their bank accounts and make payments under the new rules, even if they don’t have a debit or credit card. A Parliament communication specified ten-year-old German payment company SOFORT, seven-year-old Swedish firm Trustly and Netherlands-based iDeal, founded in 2005, as services that would be affected by the rules. “New safer and cheaper services have emerged in the area of internet payments. These services have developed massively in some member states,” said Jyrki Katainen, the EU Vice-President in charge of Growth and Competitiveness, during Wednesday’s debate in Parliament. “I trust that this will rapidly happen elsewhere,” Katainen added. Online payment services will be limited to charging customers no more their own direct costs, according to the new rules, which now need to be approved by EU member states. Banks won’t be allowed to charge fees to customers who use online payment services. MEPs who backed the rules say that means online payments will get a lot cheaper for consumers. “The EU payment services market remains fragmented and expensive, costing €130 billion, or over 1% of EU GDP, a year. 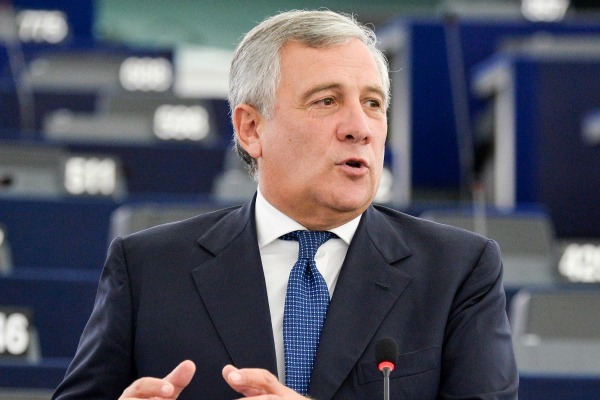 The EU economy cannot afford these costs, if it wants to be globally competitive,” said Italian MEP Antonio Tajani (EPP), rapporteur on the legislation. “The new regulatory framework will reduce costs, improve the security of payments and facilitate the emergence of new players and innovative new mobile and internet payment methods,” Tajani added. But legislators remain concerned about the security of the services they’re pushing to liberalise. The Parliament-approved rules specify that online payment service providers will be required to meet security standards to access their customers’ bank accounts, and banks can only refuse them access to an account if they have founded security concerns. In exchange, payment service providers will have to carry out anti-fraud measures. “Some flexibility will be possible, in particular for low value and low risk payment situations,” Katainen said of the security measures to be imposed on service providers. The new rules also set a maximum limit of €50 that consumers can lose in the case of unauthorised payments. Service providers could be forced under the rules to reimburse their customers if they aren’t notified about a payment loss or if the provider doesn’t do enough to prevent fraud.